One of the best gated communities in Abbotsford. Two Bedroom and Den. 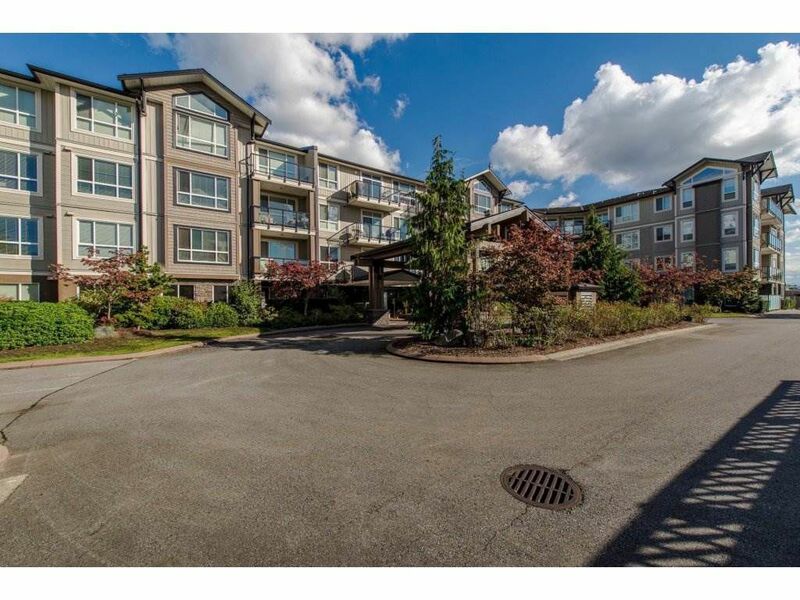 This condo has a open concept with lots of natural light throughout. Tons of cupboards and granite counters with an eating bar. Stainless steel appliances. 9 ft ceilings, crown mouldings, stone surround fireplace. Gorgeous master suite and the ensuite has double sinks, relaxing tub and heated tile floors. Walk in closet. Good size storage area within the condo plus a locker below. West facing away all street noise so you can enjoy your balcony. Newly painted. Close to all amenities. Two pets up to 22 lbs. No Rentals.